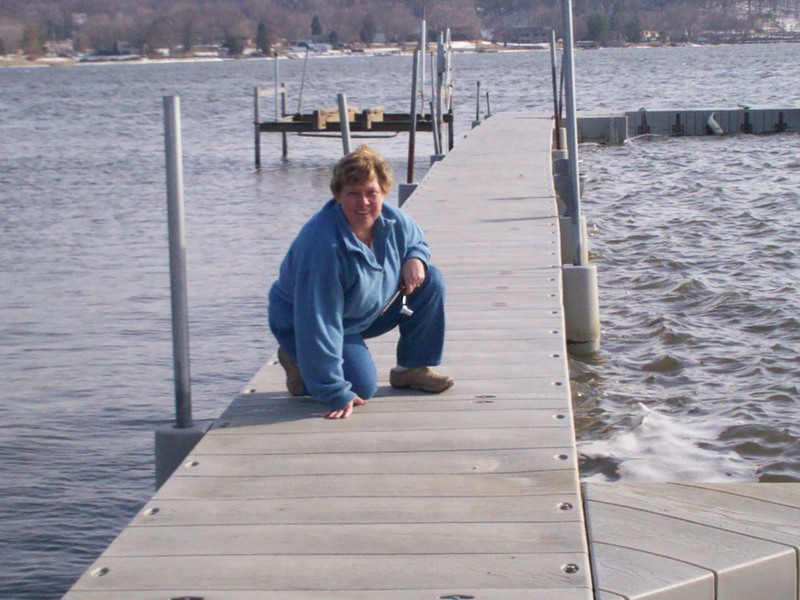 Kim ventured out on the dock to discover that it had separated in three spots, but that it was still held in place by the posts we sunk into the Mississippi mud. She took her ratchet and went out and tried to tighten it down. It was a bit windy that day. Wave to Kim.